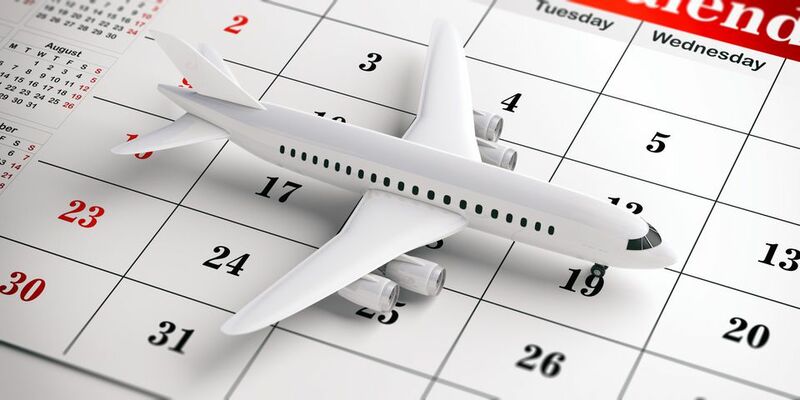 To find the cheapest flights, it's going to be important at the outset for you to establish two timelines simultaneously: one will determine when you make your fare purchase, and a second timeline for your flights. Remember that many airfare discounts --all travel deals, really -- are fleeting at best, so you should be prepared to make an immediate purchase once your buying timeline opens. Remember that many airlines still require a Saturday night stay or a 21-day advance purchase. Also remember to check for blackout dates on airfare sales. Frequently, the most popular travel dates (and the ones you desire) are blacked out and ineligible for the lower fares. If you can manage some flexibility in your itinerary, it can pay big dividends. In many cases, just a day or two can make a big difference. To find the cheapest flights, you must first be able to recognize a good airfare. If that sounds insulting, please understand that a good airfare last month might not be so great today. The changes are frequent, so do an airfare search. Don't forget to check your favorite budget airlines that might not show up in these searches. Remember that flexibility advice from Step One? For best results, try to plug in several dates and times as you pursue that cheap airfare. Don't despair if you fail to come up with an astounding fare. Right now, you're establishing the going rate for the flight. This is the figure you'll try to improve upon prior to actual booking. Using an online auction such as Priceline to book airfares can save money, but it is also risky. You will lose control over which airline you'll be flying, and other important considerations such as time of day for travel and length of layovers. If you're still willing to give it a try, take about 20-30 percent off the lowest search engine fare from your baseline search and consider submitting that amount as an opening bid. Don't do this if you're in a hurry or booking something special, such as your honeymoon trip. Take time to read the rules before bidding. If you should make a mistake or get a flight that doesn't fit well with your plans, you'll be stuck. Purchases such as this are classified as non-refundable. An alternative airport is any facility within a reasonable distance of your home or your eventual destination. It's worth checking for fares alongside your home airport. What is a "reasonable distance?" That is very much a personal decision, but many budget travelers find airports within a 100-mile radius of either location worthy of at least passing consideration when shopping for airfares. Obviously, it would be unwise to drive 200 miles round trip to save $20. But sometimes an hour or two of driving can pay handsome dividends. If you're able to save $100 and then multiply that by the number of people in your party, the savings are significant. It's not a strategy that works for all trips, but when it's possible to drive and then fly, take a look at alternative airports. Most of us are not excited about the possibility of a layover (or two) during a trip. Beware: If you insist on avoiding layovers, you might miss out on some great sale fares. Many airfare sales involve routes that are not as well traveled as hub-to-hub treks. For example, instead of going from JFK to LAX, you might find a lower fare flying from Hartford to Burbank. But leaving Hartford might mean connecting in some other city along the way. You might also plot out your own budget trip between smaller airports with multiple airlines to save money. Be creative and daring, but try to allow at least an hour between flights (two hours is even better). It also pays to pack a good book and some patience. Another strategy: lengthen the layovers and spend a few hours exploring a new destination. Sometimes, it pays to revisit an airfare search after several days or weeks have passed. It often works out that finding empty seats on a particular route becomes easier as the date for the flight nears. How will this become evident? Airline special offer pages will advertise sale fares on those routes. Airlines cannot afford to operate flights with lots of empty seats. This is why they typically overbook flights. It guarantees that every seat will be filled, even if a few customers get bumped. This principle illustrates why it is important to get a head start on airfare shopping. If you can't find a great fare after your first attempt, wait for the empty seats to be revealed and try again in a few days. For the most part, caution should be urged when booking airfares, especially when working online. Mistakes are costly, as almost all of the best fares are also non-refundable. But with that caution firmly in mind, it must also be said that any budget traveler should be ready to shut down a search and book a low fare as quickly as it appears on the screen. Here's why: Airfares are a bit like stock prices. They can rise and fall several times a day. Sometimes, the best fares that appear on an airline Web site only apply to a few remaining empty seats. Once those are sold, the great prices vanish. What's the best time to shop? Many say fishing is best early in the morning when airlines are updating their price structures. It has also been observed that many airlines tend to reset their offerings on weekends, so it's best to shop early in the week. If only airfare searches could be followed as easily as those bright, well-placed signs that direct us through unfamiliar airports. But alas, airfares can confuse even the most experienced travel agents. Pricing quirks abound. Does it make sense that a one-way trip somewhere should cost more than a round trip? It's nonsense, but it happens more frequently than most novice travelers can imagine. If you're planning a one-way trip on a major carrier, always check the round trip price as well as the one-way fare. Most of us do not enjoy shopping for airfares. Very few of us would want to spend many hours each day online searching for a slightly lower price on a ticket. Fewer still would want to keep checking the post-purchase prices. Fortunately, there are now online services such as Yapta.com that allow you to track fares on a certain route. They provide automatic email alerts when prices change, and even suggest letter-writing language that perhaps could lead to a refund in the difference between your price and the subsequent sale fare. Notice the word "perhaps." Airlines sometimes decline requests for these refunds. But it never hurts to ask, right?